Team From Germany Seeks to Reinvent The Way We Recharge Our Apple Products. ​A team of inventors developed a new iphone and ipad cover that allows people to charge their devices without the hassle of tangled wires simply by making it as part of the casing. TS: When you buy a new smartphone, the first two things that you think of are always the same: you need a case, and you need a charger. Without the former, your phone can easily break, and without the latter, you can’t use your phone for very long at all. Thus, it seems like commonsense that these two things be combined. As useful as a phone case is, it would be even more useful if it could simultaneously protect your phone and store the all-important charger. 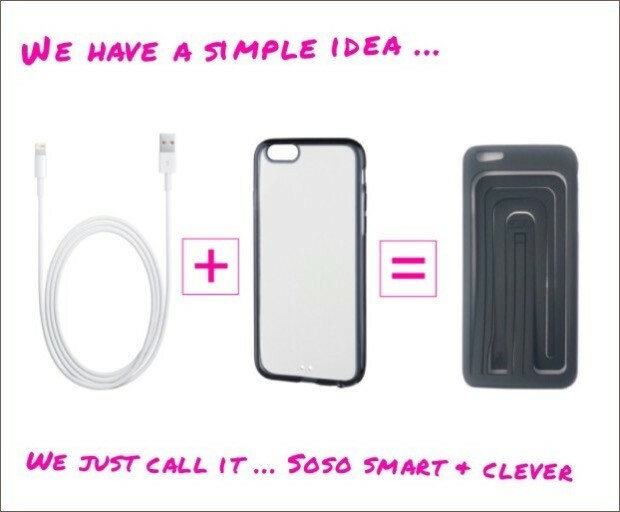 With the Soso Charge Case , that is exactly what our team has created. The Soso Charge Case is designed with a USB charger that wraps around the back, so that anywhere you bring your phone, you can stop worrying about running out of battery. Whether you have an iPhone or an IPad , the Soso Charge Case is compatible, because its USB cord can be used in conjunction with any port. Wrapped and bent in a labyrinthine shape, our cable also rests flat against the case, making transportation no more difficult than transportation of your smartphone without a case and charger – and much, much safer. KW: That's a fascinating product, tell me about yourself and how you came about this new invention. TS: The last 5 years I have been living in Turkey with my family. The main reason of my idea was My five years old son Leon who loves to play with my phone. Like many parents of our time ,we often give our phones or tablets to children to play with .But as you know at the end we always had a problem of battery that always die at the wrong time. And usually a charging cable wasn't on hand. One day, I started to think about this question, one of the traits of my character is that I always try to solve the problems in a practical way. After a while I got the idea to create such a battery cable that would always be with the phone. When I began to think about this problem, I realised that this is not concerns only me, but also a millions of people who simply fed up of caring a charging cable in a bag that is always entangled among the personal items and just create chaos, also in the car and in the house make always discomfort. This idea really will help many people to save time, be practical and forgot about unnecessary worry that the device could be discharged at the wrong time. KW: This sound likes an amazing invention, do you have a patent yet? And which products do you charge? Next up we have a project that seeks to pay it forward. We have Matthew from MMBF sharing with us the MMBF trust. KW: Tell us about MMBF Trust. KW: Tell us about how you got started. MMBF Trust was launched in 2013. Initially as a pilot project to support young performers and filmmakers in London, by 2014 a full board of Trustees had been elected and partnerships where struck with various organisations around the UK. KW: Tell us about what is unique about your campaign and why people should support you? 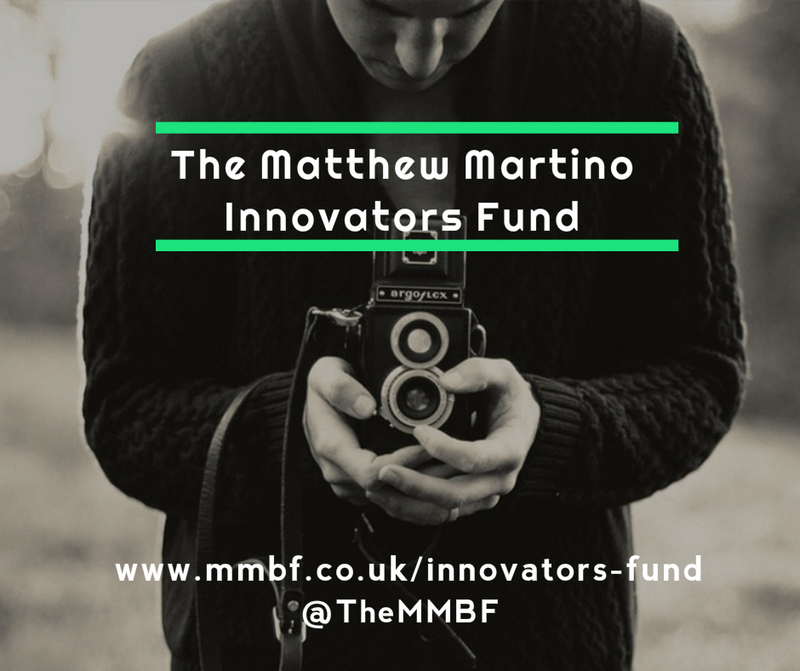 This MMBF Trust -funded opportunity provides 10 groups or individuals with £250 to help kick-start their creative projects. 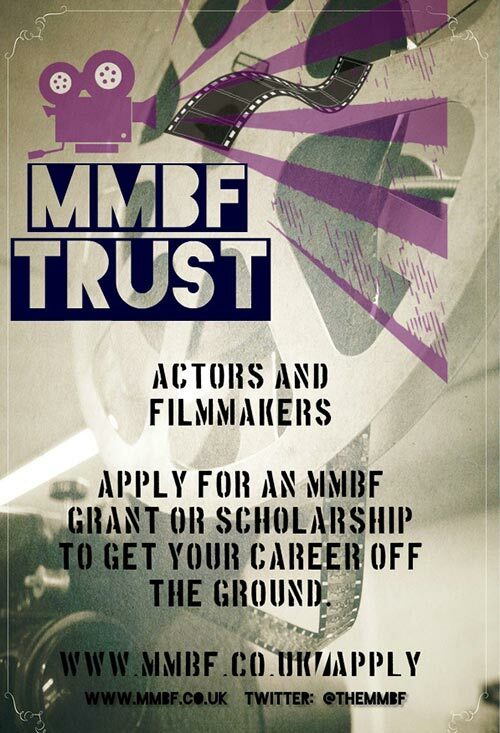 In the past MMBF Trust has funded everything from dance and film projects to music videos and photography collectives. Whatever creative field you work in, we'll consider your application. KW: Thank you for your time Matthew, any last words you would like to share? KW: There you have it, Matthew Martino from MMBF. Please visit www.mmbf.co.uk to find out more about MMBF. An Australian traveller couldn't fall asleep on the plane due to the lack of privacy came up with a clever invention that may change how people may fly in the future. The flight privacy pillow is more than just an ordinary travel accessory. This is the only pillow which has a fully detachable hood that gives you a first class experience in economy class. KW: Thank you for being with us at this interview, Jane, can you tell us how about Flight Privacy Pillow. JP: Have you ever looked at the individual pods that the first class passengers get to fly in when going long haul? Probably! One of the biggest things we envy is that they get to sleep in the privacy of virtually their own room. Obviously, this is not possible in economy class, until now! It is fundamentally against our sleeping habits to be in a room full of strangers, so of cause we can’t fully relax and sleep. Deploying the hood on the pillow makes you feel like you have your own private space and instantly makes you feel far more chilled out and able to relax. KW: Most of us could never afford to fly first class and I love how you are able to hack the flight experience to get first class privacy without breaking the bank. Tell us more about the invention and for such fancy invention i could imagine that it must be very bulky to carry around. JP: Not at all, the pillow is made with memory foam covered in soft fleece and the hood is in a breathable soft mesh fabric that allows the user to see outwards while not allowing others to see in. This uniquely designed hood gives you complete privacy so you can sleep. Velcro attachments keep the pillow and hood together. The pillow folds in half and the hood has been designed to be curled up into a small ring, allowing both to be stored in one small travel bag. KW: Tell us a bit about your timeline? Many people think that you can put together a campaign overnight and start asking for money, do you believe that is the case? JP: Those who believe they can come up with a weekend campaign and start charging is going to be very disappointed, we have put in a lot of work prototyping, patenting, sourcing manufacturers and taping a video. 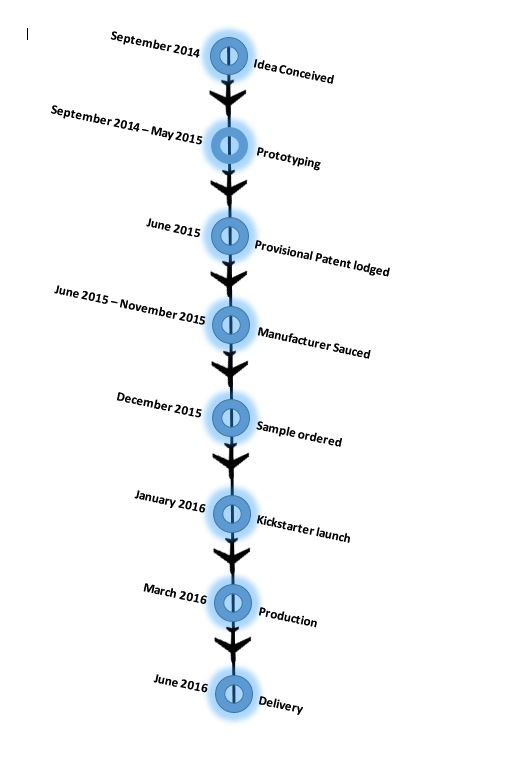 If you want to have a successful campaign you need to do a lot of preparation, below is our timeline. we started in 2014 and it has been over a year and a half and we're finally launching. Contrary to most assumptions, these moms kicked off their business with kids when most people give up their business/career after having kids. KW: Thank you for being with us at this interview, can you tell us how you guys got started with Goodbody GoodMommy? GBGM: When we first started, we noticed that many moms are asking the following questions: "Why is it so hard to find maternity activewear that's comfortable and supportive enough to work out in, but cute enough for brunch? And WHY are the majority of nursing covers so loud? " These are questions we ask ourselves daily. So we've found a solution. Make maternity clothes that have the same great qualities as the clothes you like in your regular life. We've started with two items: a maternity workout legging made from high-end fabrics that fit well and breathe when you workout. And a nursing cover that blends into an outfit - rather than screaming for people to look at you. KW: Creating a solution to an issue that many mothers are facing, this is a very creative thing to do. Can you tell us about the work you have done to promote this? GBGM: We have some quite a bit of promotions including getting ourselves featured on mothers and women's running magazine. KW: So why active wear? GBGM: Working out during pregnancy is not a trend. Staying physically fit is a lifestyle for many women and a way to not only maintain the body, but the mind and soul as well. Welcoming a new baby will be one of the most exciting times of your life, but pregnancy can be daunting, as your body continues to change daily. Goodbody goodmommy understands that keeping your active lifestyle through pregnancy is paramount. When you look good and you are comfortable, you feel better, too. Our goal is to help every pregnant mother be functional and fashionable. KW: we hear that you also have a nursing cover, tell us about it. GBGM: Our second item in this campaign is a nursing cardigan. It boasts an open, full design made with an ultra-soft modal jersey will look great with your goodbody goodmommy leggings. You can even wear it with jeans or a dress. 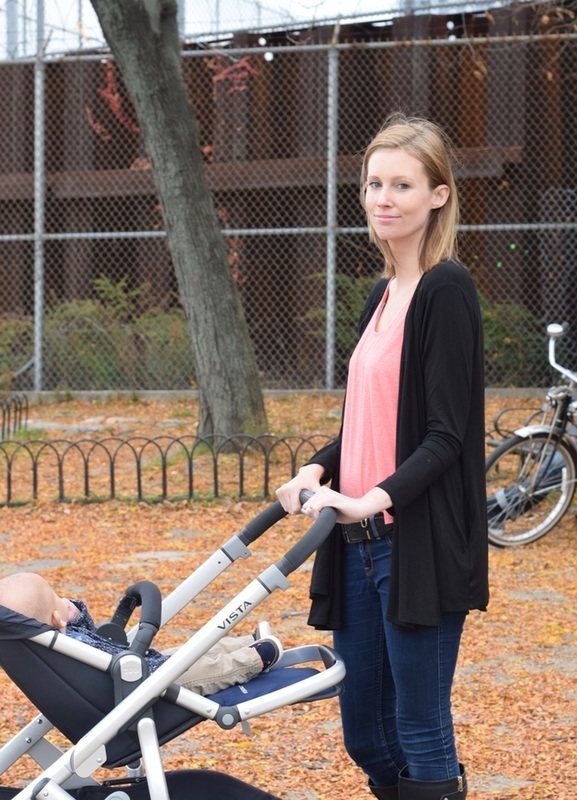 After you meet your baby, this cardigan will remain one of your wardrobe staples, as it is also a nursing cover. Remembering an extra, bulky nursing cover can be an inconvenience. Wear this cardigan over any outfit, and you have a cover with you at all times. Simply find the loop under the shoulder and fasten it to the button on the opposite side to create a discrete and comfortable cover. A group of animal activists, non profits and animal lovers are putting together a massive rally to push for change in DC and to honor fallen rangers killed by trophy hunters. Non profits supporting this event includes PETA, Big Cat Rescue and a other wildlife conservation groups. Very often we hear people protesting for injustice done to fellow human beings, but this is the first time we see an animal based rally. KW: Thank you for coming out to have an interview with us. 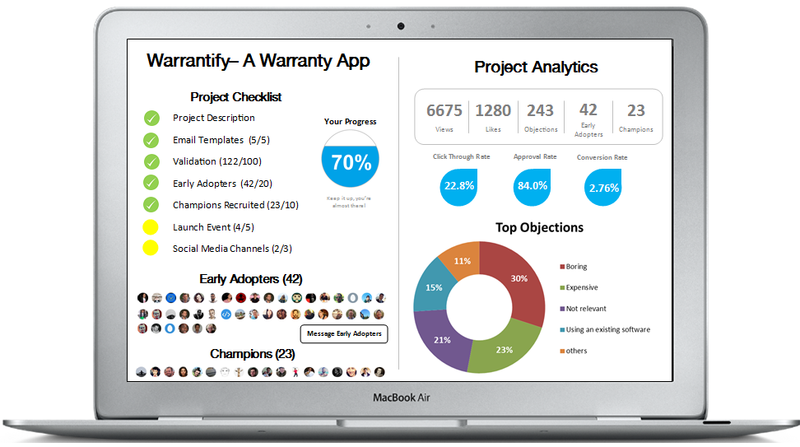 Can you tell us a bit about your project? Cecil2016: By now you all should have heard about Cecil the Lion who was killed by Minnesota Dentist, Walter Palmer. We are a coalition of non profits, animal activists, artists, writers, and animal lovers from all corners of the world wanting to make a statement that trophy hunting must end. The death of Cecil the Lion has awaken the world to the horrors of trophy hunting and we are bringing together 20,000 people to rally at Washington DC July 2016 to tell the world that there is something to be done and it starts with making a commitment to do something against trophy hunting big or small. We plan to shake up the government and embassies to let them know that trophy hunting is no longer acceptable and the must do their part to stop this cruel practice. KW: Wow, that's a very exciting mission and goal you are aiming for. 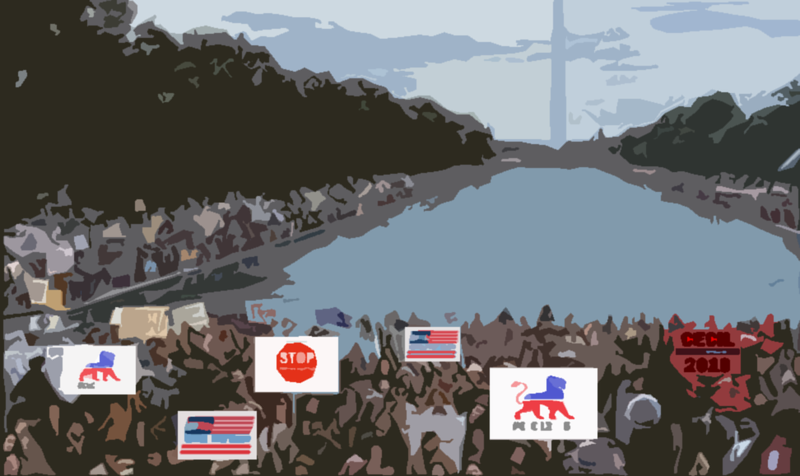 For such a large rally, how are you working to put it all together? Cecil2016: We have a powerhouse team of organizers from a diverse background from event planners to project managers, web developers, naturalists, artists, publicists, students, teachers and hundreds of volunteers who are planning on our facebook. 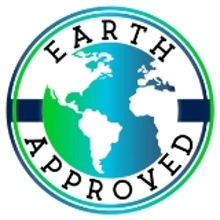 We also have a panel of advisors who are influencers in their areas from academics to activists, environmentalists and rangers out in the field we are consulting for expert advices. We have reached out to ethical companies like Delta Airlines to be sponsors and celebrities like Bob Barker to have them come out and show their support. we are expecting an exciting and a life changing rally this July 2016. We know this rally will be the first of its kind with the degree of organization we are committing. KW: That's a lot of people you have on board. tell us about the Rally.org crowdfunding page. Cecil2016: To put on a massive rally, we need to pay for permitting costs (which we've covered last week), sound systems, stage installation, porta potties and many other things. We are trusting that the animal lover community will step up and help with the costs. This is the first time DC will have an animal based march and we want this to be epic and invite all animal lovers to contribute to this campaign. Wildlife conservation is a big topic as endangered animals like elephants, rhinos and lions are being killed at unprecedented rates. With the world becoming a more connected place, more and more people are demanding animal trophies paying thousands per piece. While there are park rangers who are dedicating their lives protecting animals, their presence is just not enough. With a stronger awareness on this issue, the organizers of this rally hopes to put an end to trophy hunting. KW: What is your marketing plan? how are you getting the word out to everyone? Cecil2016: As of now our current marketing plan consists of building partnership with other non profits and working out a deal to get the word out on to their mailing lists. we've also sponsored a few groups to get the ball rolling. We the trusting to public to step and make the historic rally possible. Thank you for your time. We do wish you the best at your fundraising. Life has its ups and downs and one of the hardest things we as human beings must bear is to see a good family member or friend going through a difficult patch in life. So what do you give when someone is going through a divorce or facing cancer, when a loved one is in a care home or someone has to bury a family member. It's not always easy to say I'm sorry, I'm here for you or I love you, but with an emotions Gift hamper that's exactly what you can express. Our next interview is with a campaign creator who wants to help people express their concerns for loved ones in a sincere way. We are pleased to introduce you to Colinda Alridge of Alluring Souls. CA: Thank you Kickwatcher for this interview. I am a poet, a wordsmith and an artist and I have dedicated my time and energy to creating wonderful authentic prose that uplifts the human spirit and expresses the deepest emotions we all experience.For me, coping with tragedy and conquering fears always begins and ends with the ink of the pen and the smooth surface of a sheet of paper. And I do believe that there are emotional healing powers when we receive a gift or read a positive poem expressing the care and concern from a loving friend or family member. That's why I am launching this crowdfunding campaign to share my healing poetry and work to inspire those who need a pick me up while helping their friends connect with them. When you support this campaign you will be helping to develop a dream, with true expression from the heart. KW: Tell us a bit more about the hamper packs, Colinda. CA: The Emotions gift hampers are based on the emotion stirring poetry of my book series and will include plenty of goodies from food and wine, scented candles and jewllery to T-shirts with inspirational quotes taken from the books, cards and prints with messages of faith and hope, and one of my favourites a ‘book’ tote bag with inspirational quotes.The hampers are created for every occassion and can be naughty or nice, with options including candy, fruit, curiosities or stuffed toys. All of the products available can be created for men, women and children and there will also be options for individualized messages to be printed or inscribed on the products. KW: That's fascinating, tell us more about what's inside these hampers. 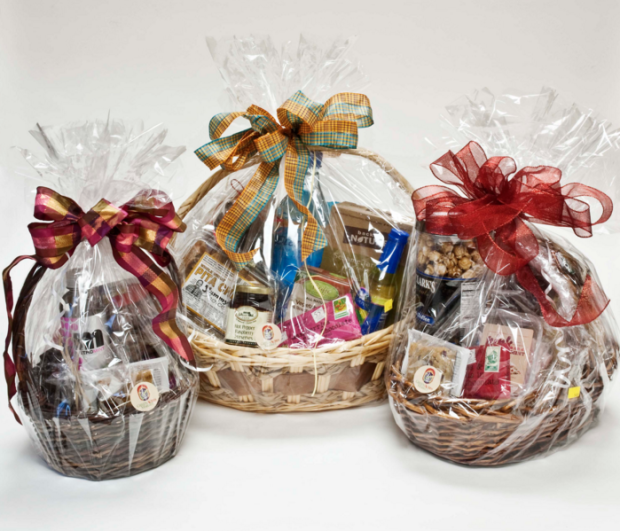 CA: Every Hamper is made to meet the needs of the person receiving the gift, we work with a number of partners who can print specially designed T-shirts, picture frames and wall hangings, all made to the highest standards. We also work with artisans who produce beautiful jewellery including crystals and organic materials, some of which can be engraved with your personal message. Of course we can send out standard food/fruit/candy hampers with a beautiful card and message that will brighten up anyone's day. Every hamper will include 1 or more copies of my Emotions, the poetry book series , that provides a beautiful backdrop to our human emotions, inspiring and connecting us all with the beautiful words and expressions that we all need to hear sometimes. KW: That's a lot of wonderful gifts we can offer to our loved ones. tell us how we can help make this dream a reality for you Colinda. 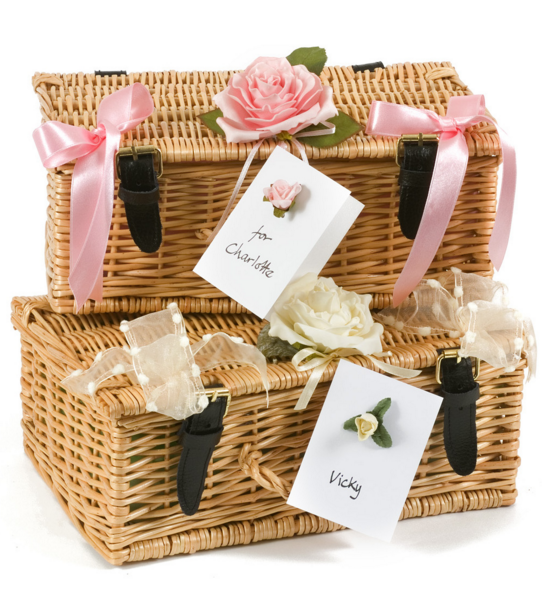 CA: We are currenty providing hampers on a regular basis to a small number of customers in our local area and are ready to expand the line and incorporate more ideas as we reach more customers. We are talking to local hospitals and care homes to provide partnerships where we can provide a great service to reidents and those visiting, and we are also planning on moving more into the wedding, Christening and Bar Mitzvah market as well. Our goal is to reach $60,000 – which will be used to develop our website and order taking system, produce the recycled hampers that we are passionate about, and also to cover the costs of the marketing and promotion needed to get the message out. With your support we can provide a much needed product in a way that really connects with people and leaves with a lasting memory of a great gift and knowing that they are loved and being thought of by others. We need your help and support to bring this great service to everyone who needs it. Imagine a family member or dear friend in hospital, receiving a necklace with a message of love and support. Please support by purchasing the gift boxes and hampers in advance – available to the right, and by sharing this campaign and inviting everyone you know to express their emotions with a great gift. Next up we have someone who went rock bottom in his business career and rebounded. Bobby is currently launching his latest venture after going through depression and overcoming it. KW: Thank you for your time Bobby, Tell us how you got started with your campaign. Bobby: My Name is Bobby James. After decades of failed attempts at building MLM Businesses, I went through Major Depression the first 8 months of 2014. Through the support of a Mastermind Group AND discovering a process that I now call The Inspirational Vortex™, I Re-Created Myself as an Inspirational Speaker and Coach. KW: I'm sorry to hear that you went through a period of depression but glad to hear that you overcame it and became very successful. Tell us about your campaign. Bobby: Planning Curriculum, Booking a Room, Networking, Seeking Support from Mentors and Followers. I would say about 100 hours. I am also reaching out to groups on Facebook. I'm everywhere and it's rather hard trying to pin down numbers. I currently have spent around $50 and not using any tools. Next up we have someone who took a popular idea from another generation into the 21st century. Nostalgia marketing can be an interesting niche as nostalgic products requires much less marketing and may be public domain as the original copyright holder may not be around any more. Today we have the founder of OMG Messaging, Joel Zeichner, with us at this interview to tell us his journey in bringing the glass peace signs back. KW: Thank you for your time Joel, Tell us how you got started with OMG. 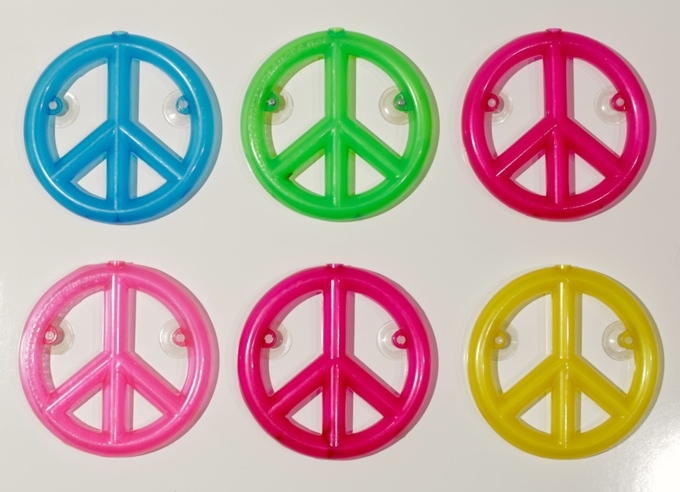 JZ: Fourteen years ago I walked into a Retro Store 'Time After Time' in Madison to purchase a green glass peace sign hanging in the store window. The nicest, sweetest Jessica Tandy-looking shop owner named Bette refused to sell it to me. As I was halfway out the door she said, 'But if you could make them, I could sell them all day long'. So i decided to make a bunch of them to bring back the good old days. KW: That's very entrepreneurial of you, when there isn't a way, you create one yourself! 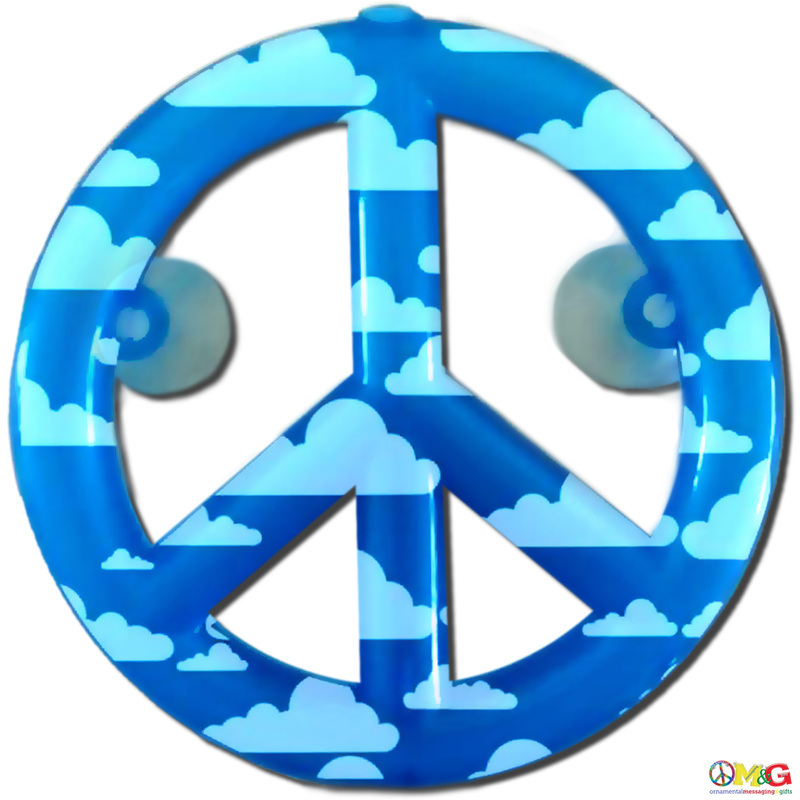 Im sure there are thousands who crave to own glass peace signs as well. Tell us a bit about the specs of your products, what makes them unique and what keeps others from copying you? JZ: Our products are unique because we're redesigning them for the 21st century. 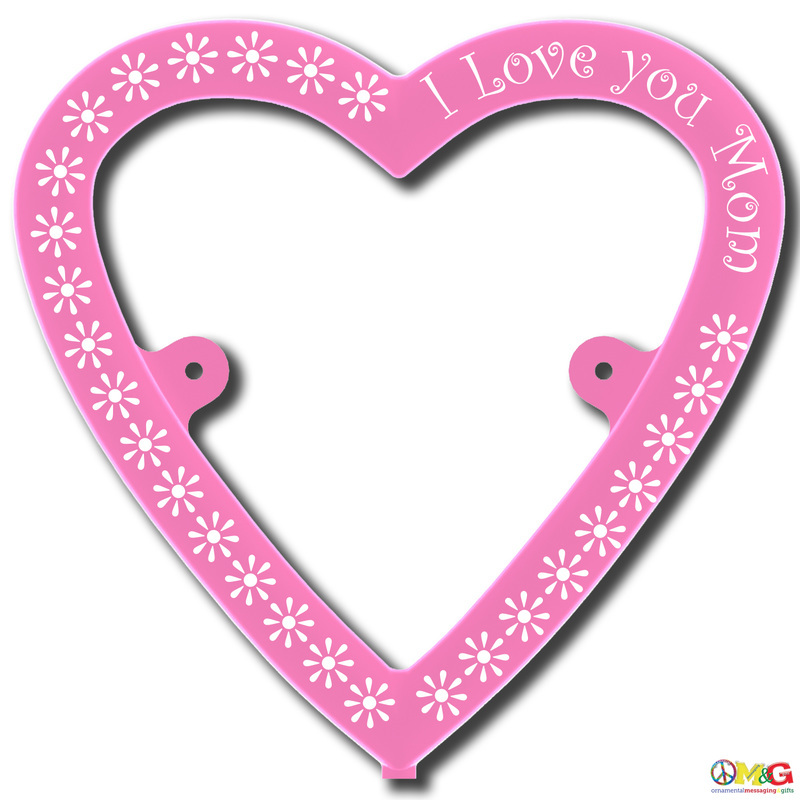 we've added suction magnets in the back and their sizes are smaller. we're also hoping to take this technology and implement into other products including sports teams, university teams and symbols. KW: Wow, that's a lot of products you plan to launch, tell us a bit about your plan to manufacture them. This week, we are pleased to interview someone who is utilizing crowdfunding OUTSIDE of kickstarter or indiegogo. There are multiple benefits using crowdfunding outside of a platform as you are bypassing a crowdfunding platform like Kickstarter who may gouge you 5-10%. Other benefits include you get to set your own rules and have more customization features on your site. KW: Thank you for your time Sharifah, please tell us about your project. The Ask Sharifah project seeks to create new jobs and entrepreneurs in our Return to Work Program. We plan to provide resume writing services, provide clothing for interviews, mentorship, assistance determining a business, business setup, business plan creation, funding assistance and guidance. KW: A service that helps job seekers and new entrepreneurs get started, that's fascinating, tell us what makes you unique. Sharifah Hardie is a sought after Business Consultant & Keynote Speaker. Sharifah believes in working together to make things happen. This project will allow Sharifah to provide much needed assistance to the community. Sharifah: I have spent the last 6 months preparing this campaign. This campaign was a result of the requests for assistance that I receive on a daily basis. I shared the campaign with my network and my budget has exceeded hundreds of dollars. KW: Thank you Sharifah for sharing with us your project. we wish you the best on your campaign!